I want to express my appreciation for the handling of my mother's auction. From the beginning, she wanted to have an auction of her furnishings and sell her home. We decided to have you come out to see the home and discuss the situation asking for your advice. At that time, we agreed to have an auction of the home on a turn-key basis. Of course, we were all nervous but I kept saying that you knew the business and that was exactly correct. You did a fine job advertising and showing the house and she was well satisified with everything including the price she got for it. You are vey easy to work with and I would recommend to anyone your services. The employees of Stanley & Son were so nice and helpful. I feel you made the experience for my mother, Jean Lightle, much easier to go through. Respectfully, Judy Tincher. As Agents for Doris Jean Lightle, Judith Kay Tincher, Attorney in Fact, we will sell this very clean home on the premises situated just a few steps from Rivers Edge Golf Course & behind Zane Plaza Shopping Center. This one owner home is FRESH ON THE MARKET & hasn't been previously offered for sale! 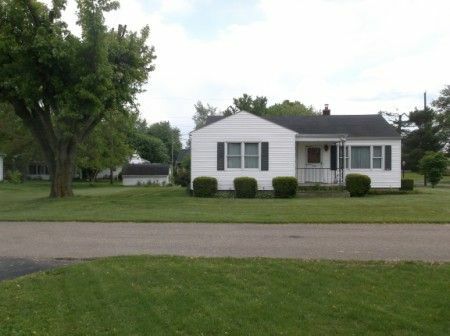 Home offers kitchen, dining room-living room combo, 3 bedrooms w/closets, full bath a heated breezeway to the attached 2 car garage w/door opener, concrete floor & asphalt driveway; basement offers full bathroom, family room, utility room & storage room w/shelving. Home equipped with gas furnace, central air conditioning, City water & sewer and replacement windows. 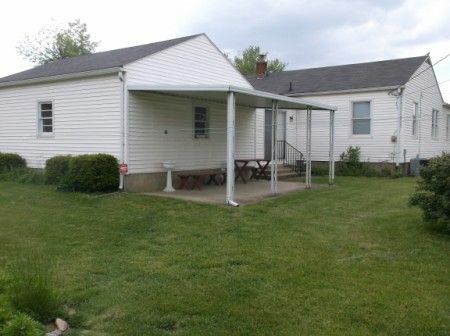 All situated on a nice level corner 105' x 120' lot. Real Estate Terms: $25,000 Minimum Bid; $5,000 down in cash or check w/photo ID at time of sale; balance & possession upon delivery of deed; closing on/before Aug. 25, 2013; taxes prorated to closing date; offered free & clear prior to closing; no warranties or guarantees offered, given or implies, no buyer contingencies exist; being sold in as-is condition. All information provided is to be utilized only as a guide. Buyers are responsible to conduct any inspection, inquiry, investigations and due diligence regarding to property. Taxes & Legal: Ross Co. Parcel No. 305460051000; Vol. 519 Pg.734; Annual Net Tax w/Homestead Reduction: $1,074.66.